The Grumpy Ecologist: Revision of the 30 cm rule. 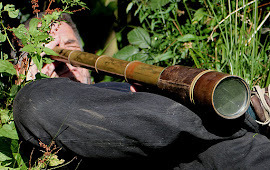 It is perhaps surprising to think that until the early 1990s we knew little about the ecological requirements of the Bittern other than it was a ‘reedbed bird’. With the UK population plummeting, research was undertaken at the key sites: Minsmere and Leighton Moss. It soon became clear that it was the drying out of our reedbeds through natural succession that was the main cause. Put simply, Bitterns require wet reedbeds that provide both abundant food and security from predation. The research showed that female Bitterns nested in reedbeds that remained wet all summer and the average water depth on the date of the first egg was 22 cm. The call went out to create new reedbeds, with a recommended spring water depth of around 30 cm. 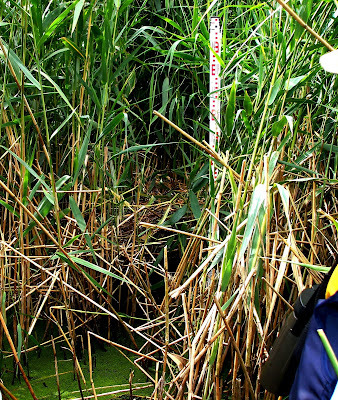 This week we reviewed the data from extensive reedbed studies over the last couple of years. One revealing analysis was the depth of water that Bitterns in the UK are now nesting in, and the take-home message is that Bitterns appear to be able to nest in as deep a reedbed as a site can provide. At the superb new wet reedbeds at Ham Wall, Lakenheath and Shapwick, recent nests have been constructed in 50cm to 1metre of water. 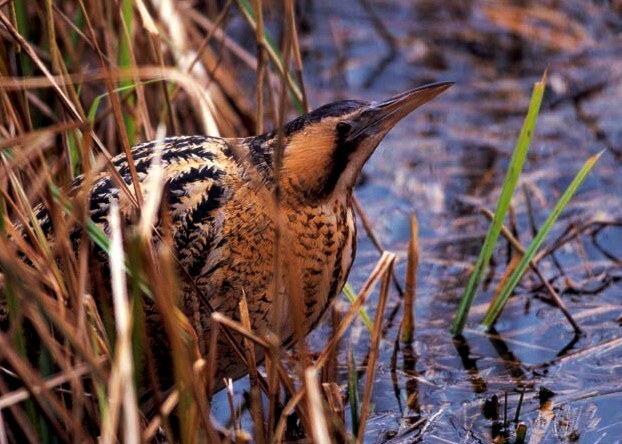 Perhaps we shouldn’t be surprised; a previous Polish study found Bittern nests in up to 97cm of water. 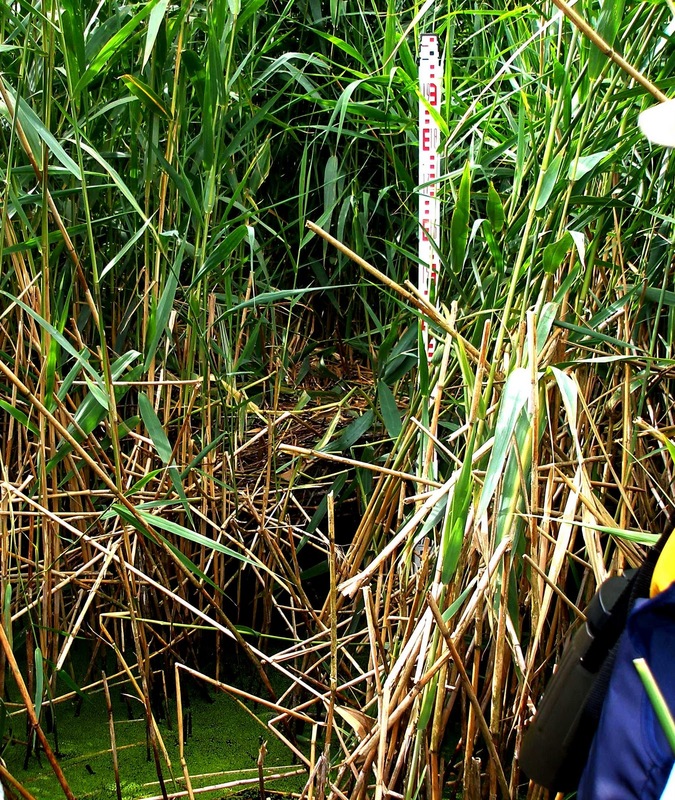 So while the research was invaluable and set out the path for Bittern recovery in the UK, the nest water depths merely reflected the best (wettest) reedbeds at that time. Now we have better reedbeds, the 30cm rule requires revising to reflect our increasing knowledge. New, big, wet reedbeds are not only going to last longer but will be more robust in the face of climate change and will be attractive to potential new colonists, note the presence of Little Bittern, Purple Heron and Great White Egret this year in our biggest and wettest reedbeds.